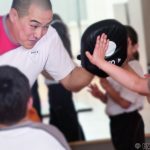 Today’s children are increasingly becoming more inactive, but the best cure is a dose of Kids WingTsun which is sure to get them fit and healthy. 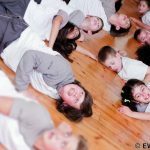 Of course, this will have only positive effects on the children and provides a safe environment for them to grow and develop whilst engaging in a captivating physical activity. 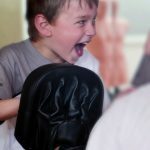 Kids WingTsun is an excellent and fun way to ensure children are kept fit with martial arts, whilst learning important lessons about self-discipline. These positive effects are sure to leak into all other aspects of your children’s lives. A self-confident child is able to resist peer pressure and do better in a social context throughout their everyday lives, including at school, with their friends and in extra-curricular activities. 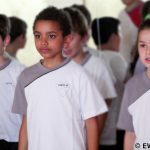 But imperatively coupled with confidence is respect – something that the Kids WingTsun programme is dedicated to building in parallel to confidence. Children are taught how to properly interact with their peers and their instructor, enabling them to learn fundamental lessons for the outside world. Focus is a skill that can be grown upon and developed. 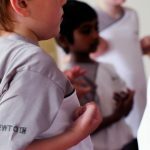 Children who enroll into the Kids WingTsun programme have the opportunity to practice their focus on a regular basis, which will eventually become second nature to them. This will have a positive effect throughout their lives, especially when it comes to homework! Of course, the Kids WingTsun programme will also pave the way for children to obtain good habits that will help them succeed in life. They will learn to set goals and what action path is needed to obtain these goals. 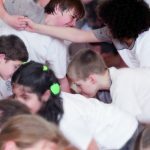 The Kids WingTsun programme is designed to provide children with well-rounded physical training and enhances body mechanics better than any traditional exercise. The reason for this is that WingTsun improves muscle strength, flexibility, balance and a general understanding of movement. Children are not only taught how to do something, but the how and why in order to increase and develop their knowledge of form, posture and the proper execution of movement. 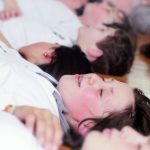 Children’s cardiovascular health will improve, which will have a positive effect on their sleeping patterns, their energy levels and their focus and gusto for life! Martial arts training, specifically WingTsun, is not about learning how to be violent. 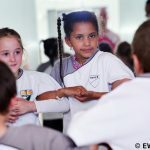 Children who engage in the Kids WingTsun programme will be taught how to properly prevent violence, or if found in a conflict, how to de-escalate the violence so that physical confrontation is avoided completely. Although it is important for children to effectively and efficiently know ways of protecting themselves, they must first understand how to identify potentially dangerous people or situations and how to avoid them.